It's that time of year again, when the festive masses swarm the malls and shopping districts, looking for those perfect gifts fort the people in their lives. Books are an ambitious gift, with tastes being very personal and reading preferences sometimes being quite surprising. What has become incredibly popular over the lsat few years, across all demographics, is the Young Adult novel. Fast paced, simply structured and full of easily relatable characters, Young Adult as a classification has much to offer both the occasional and the voracious reader. And so, here's a list of some of the best of YA, all of which would make great gifts. 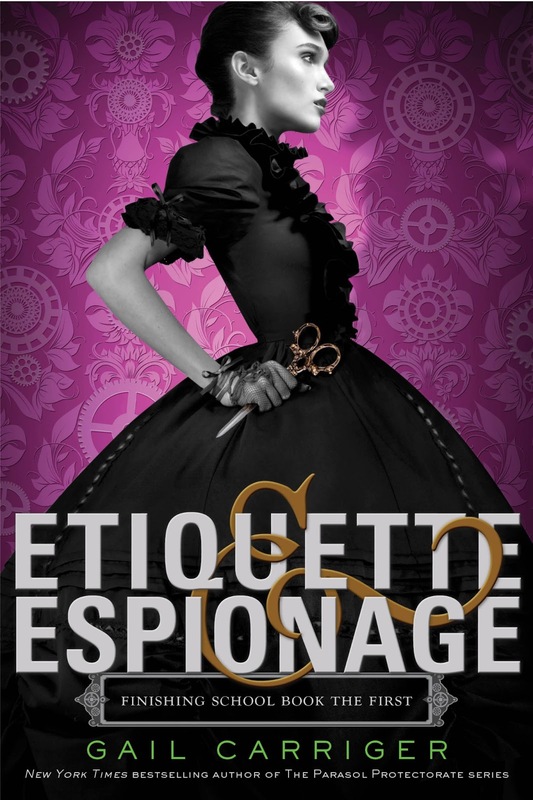 Steampunk is still going strong, and Gail Carriger is a founding author of the new wave. Her adult series, the Parasol Protectorate, is wildly popular and has been spun off into this prequel series. Taking place in a floating finishing school, these young ladies of Quality learn all manners of...finishing. Young Adult novels are full of Chosen One characters. These young protagonists end up starting revolutions and leading armies. 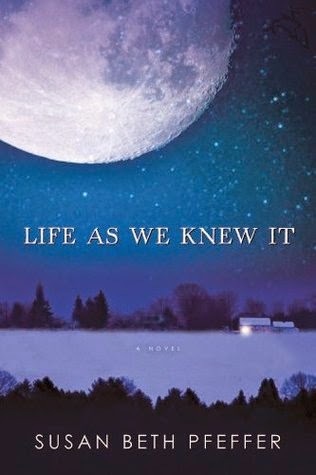 Miranda of Life as We Knew It is a refreshingly normal girl, simply trying to help her family alife as the world around her falls apart. She is hardly perfect, and all the more endearing and relatable for it. Some of the most popular settings in YA fiction are the post-apocalyptic world and the oppressive dictatorship. These settings lend themselves to all sorts of flights of fancy, from zombies to televised battles. 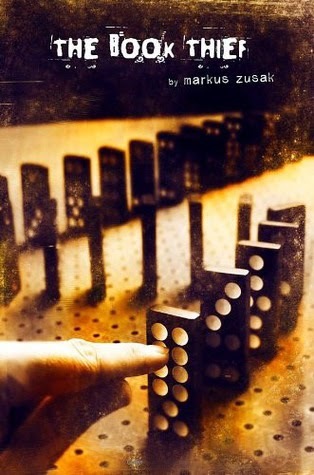 But The Book Thief takes place in World War II Germany, and history itself is all the horror the story needs. 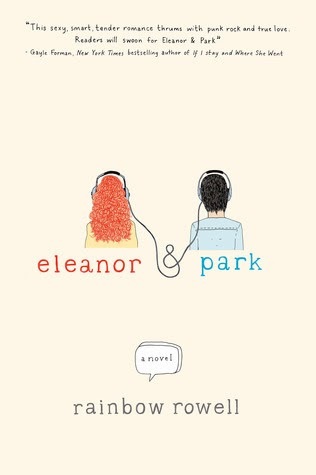 While so many books have perfect families and read like adult romance novels, Eleanor and Park is a refreshingly honest look at high school first love. Park is awkward, Eleanor has more to worry about than just her schoolwork, and anyone who remembers being fourteen will find something that rings true. People complain that there aren't enough strong female characters in literature, or that the women who are there are just skinned men. Balsa is perhaps the best example of a strong woman who actually acts and thinks like a female. 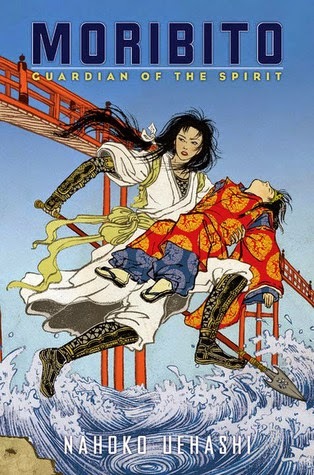 Whether she's fighting off assassins, taking care of her young charge Chagum, or reconnecting with a childhood friend who could have been something more, Balsa is a woman who everyone could aspire to be. 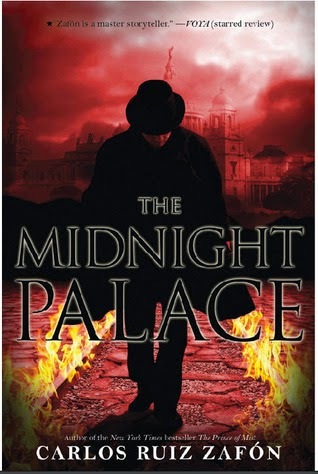 Magical Realism goes hand in hand with Young Adult, and no one does it better than Carlos Ruiz Zafon in The Midnight Palace﻿. With twins separated at birth, a group of orphans and a villain who might be more than he appears, combined with prose that is an absolute pleasure to read, this is perhaps the best-written of the bunch. Mio and Takumi were high school sweethearts...of a sort.They met in high school, but circumstances kept their relationship from developing until after they had graduated. Eventually, though, they finally come together, and a year after they marry their son Yuji comes along. In most manga, this would be where the story ends. But here, the story is just beginning. "Archive is a planet of memory. People who have passed away continue to live there as long as someone on Earth remembers them." So says the picture book that Mio wrote for Yuji before passing away. She promises to come back when when the rainy season starts, and this is where we pick up, in Takuji Ichikawa's Be With You. It's been a year since Mio has passed away, and her son couldn't be more excited. She promised to come back at the start of the rainy season, and as the weather forecast predicts cloudy skies, Yuji runs outside to find her. His father follows, glad that his son has so much faith in his late wife but not expecting to find anything. Imagine his surprise when he finds Mio, sitting on the steps of Lab 5. But the discovery is bittersweet, as they realize that she has no memory of her family. 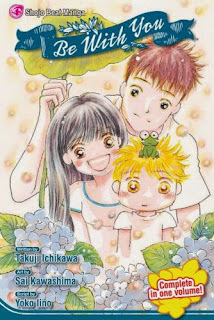 The manga follows the six weeks of the rainy season, as the family slowly learns about each other again. Yuji turns seven, Takumi has another health scare, and sleeping arraignments have to be renegotiated. Mio might not remember that Yuji is allergic to strawberries, or that her first dates with Takumi were hours of simply talking, but the family was one built on love, and that love can transcend whatever strange magic has brought Mio back to them. Be with You started out as a novel, and has become a manga, a tv show and a movie. The theme song of the movie was the highest selling single of 2005, which shows some of the love that Japan has for this story. A melancholy, sweet look into the life of a family that is hurting - and healing - Be With You is a lovely one-shot manga to spend an afternoon with. Highs: In the last chapter, as we see the events from the mother's point of view, is much more of a payoff than I'd expected from a story like this. Lows: The fact that Yuji calls his father by his first name was extremely confusing at the beginning, but things made more sense as it went. Verdict: One-shot manga are hard to find, so this is an even better buy than usual. 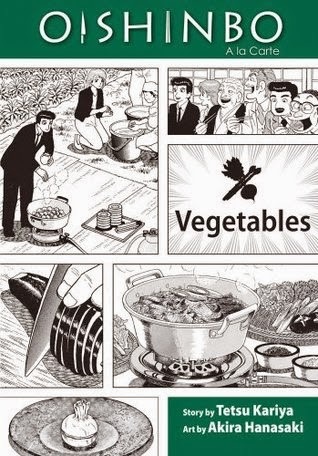 Yamaoka takes on vegetables with zeal in Oishinbo: A la Carte: Vegetables. Vegetable Showdown is a head-to-head battle between the Ultimate Menu and the Supreme Menu. When Yamaoka suggests that their theme be 'vegetables,' Kaibara has a few stipulations. The dishes shall focus on cabbage and turnip respectively, and only the highest quality. These vegetables have been grown without herbicides or pesticides, and have a clean, sweet taste that is uncommon in food grown by large, industrial farms. Does Yamaoka have the skill to bring out these flavors, nearly lost in modern foods? The Joy of a New Potato gives the reader a look at how food can bring together a family. Misaki Shacho is one of Japan's rising stars of entrepreneurship. Always seen at flashy restaurants, with beautiful young women on his arm, he's the epitome of new money - for better or worse. When bad investments cause him to lose it all, he has to call on friends even to help celebrate his son's birthday. Can friends and family help him learn to treasure what his modest means have left him? Good Eggplant, Bad Eggplant is a love letter to an often misunderstood vegetable. Many people have been turned off by badly prepared, or badly grown, eggplant. When old or abused, eggplant can be a terrible combination of tough skin and bitter flesh. This is what young Hitoshi has learned to dread about the food. Now, he knows that he'll have to eat the vegetable at school, or lose face among his peers. Can Yamaoka convince his young friend that there is hope? Tetsu Kariya pens love letters to cuisine in each chapter of his collections. In more fast-paced cultures, food becomes a chore, or something to be eaten in the car between jobs. Oishinbo reminds the reader that food is an art that deserves to be treasured. Whether the topic be the humble ramen noodle or the most basic plants that mother Earth has provided, these volumes show the care and work that goes into a perfect dish. Highs: Over and over, we are shown how food brings people together. Lows: The far-left leanings of the author are thicker here than in other volumes, and can be preachy at times. Verdict: Oishinbo: A la Carte; Vegetables is a worthy addition to the series, which is a good fit for foodies of all reading preferenes. Everyone is used to the X-Men addressing issues of alienation and rejection, of feeling like a freak and not fitting in. But there are more ways to not fit in than to be crawling up the walls or calling the weather. Nowadays, perhaps one of the most common problems facing teens and their parents is the dilemma of the first-generation American immigrant. As the parents do their best to raise their children in the culture that they themselves grew up in, the kids are torn in a different direction by their peers. Marvel takes this on, with remarkable results, in Ms. Marvel Volume 1: No Normal. In most ways, Kamala Khan is just a normal teenager growing up in Jersey City. She bickers with her protective parents and older brother, she sneaks out her window to go to parties, and she writes Avengers fanfic. She struggles with blending her Muslim religion with the secular culture of America, and has friends who support her whatever she chooses. She has a pretty decent life, and she knows it. But while she's out at that illicit party (with BOYS), she's exposed to the Terrigen Mist, and everything changes. Now, she has powers she can't control, a new responsibility to protect those around her, and no idea how to go about it. Ms. Marvel Volume 1 shows us perhaps the most relatable superhero in comics today. G. Willow Wilson brings a fresh perspective to comics, and her empathy shows. Kamala is neither a caricature of a rebellious Muslim girl, nor a perfect daughter. She is a human being, with all the flaws that brings, and the reader loves her all the more for it. 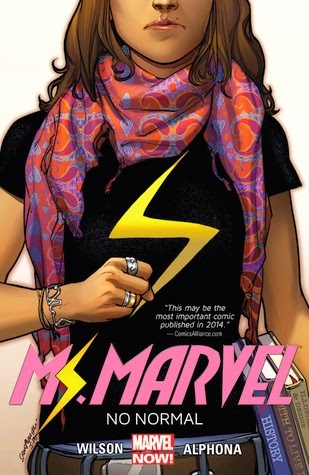 Bringing to light social issues without beating the reader over the head with them, and showcasing the most human characters I've read recently in any medium, Ms. Marvel Volume 1: No Normal is a comic with broad appeal. Highs: Watching Kamala make her costume (with puffy paint!) is absolutely excellent. Lows: The villains are fairly one-dimensional so far, but there will be plenty of room for them to develop later. Verdict: This is a comic that no one, even those who aren't as familiar with superheroes in general, should miss. 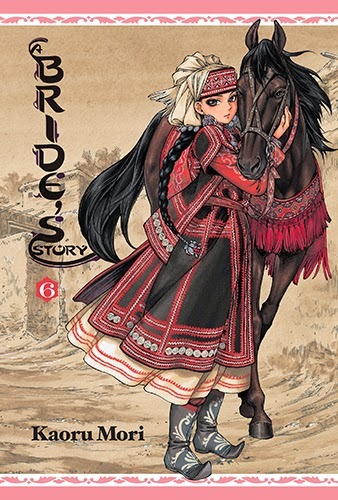 Life in a village, in a land of nomads, makes Amir's new family a valuable target in A Bride's Story Volume 6. Note: A Bride's Story Volume 6 is part of an ongoing series. Check out the review of Volume 1 here, and Volume 5 here. Otherwise, read on!